Good news! 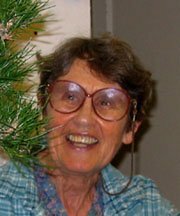 Once again, Club Treasurer, Tina Hammond, has offered to host our holiday party and raffle at her Mesa home. Apparently, you were all well-behaved last summer and no one stole the patio furniture. Well done! Please bring a potluck dish to share, a spouse or significant other and an item or two for the fun and exciting raffle. (Note: spouses cannot be considered as raffle prizes.) Easiest way to get to Tina’s house is to take Los Positas past Elings Park toward the ocean. At the end, turn right onto Cliff Drive. Go up the hill toward Hope Ranch. At the gate, turn right onto Marina Drive, left onto Sea Ranch Drive, then right onto Campanil. You can email her at bhammond23@cox.net. All proceeds from the raffle go into our coffers to help pay for presentations and workshop in 2018. As you remember, last winter’s potluck scheduled to be at Tina Hammond’s house was canceled because of the Thomas fire that was then raging and the resulting poor air quality, so I’m really looking forward to a happy event this year, our last event of the year, at Tina’s house. I hope to see you there. I’m also looking forward to 2019. Steve Gibson is promising a good lineup of Tuesday evening programs and Saturday workshops, our show is scheduled for May 18-19 again at the Lutheran Church where we had this year’s show, and Wally Kunimoto has arranged for a special Saturday presentation by Frank Goya in June. And by all means, please sign up for the Saturday workshops, regardless of your bonsai experience or skill level! You’ll lean a lot and we need good participation to keep the workshops fiscally viable. I can’t say I’m terribly sad to say goodbye to 2018. Our loss of Tom Post and Giorgio Perissinotto within days of each other was an unexpected blow personally and to the club. To date, $900 has been donated to the club in Tom’s memory. A couple of possible uses for some of the money could be to pay for the Frank Goya presentation or for the long-postponed re-doing of our tokonoma. Other suggestions are welcome. The call went out to bring in bonsai material that was somewhat different than the skinny juniper with the glued-on rocks in the blue glazed pot at Home Depot. And Club members came through with a potpourri of “back-of-the-bench” stuff. Wally brought in two in-arch-grafted pines. One originally had long leggy branches that are now walking elsewhere. The other was white pine foliage in-arch grafted onto black pine stock making kind of a “zebra” pine. Allan brought in a “zelcova” he bought that wasn’t a zelcova after all. No one was quite sure what it was. Steve brought in a tomatillo tomato tree, a mulberry and a white oleander. Joe brought in a pine with a sacrifice branch that would soon be tall enough for the giant to climb down. 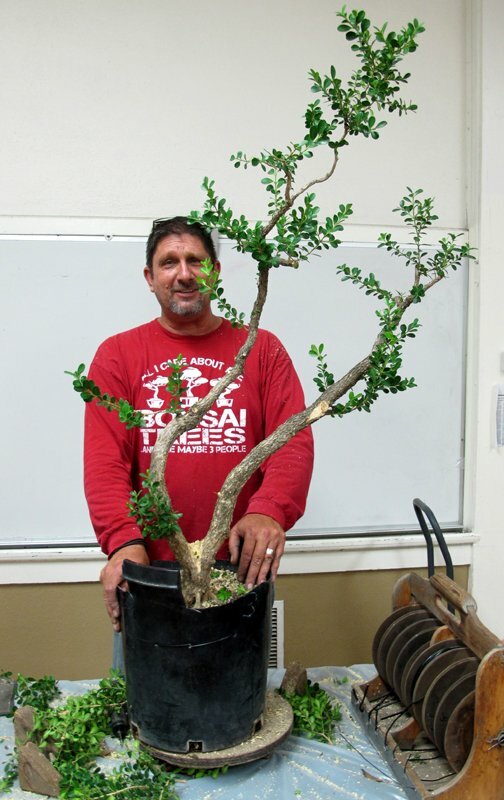 John brought in a nice portulacaria that had an unusual red trunk. And I brought in a California sage, a mestoklema and a pitasporum that I won at the very end of a long raffle after all the good stuff had gone. After pledging to eat more and exercise less (wait… did I get that right? 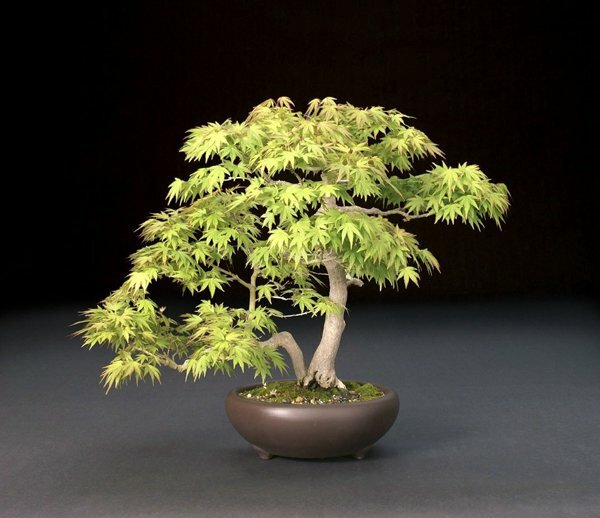 ), New Year’s Resolution Number 3 should be to devote more time and effort to the Art of Bonsai. One way to do that is to send in your check for $120 for the FOUR SPRING WORKSHOPS (January, February, March and April). 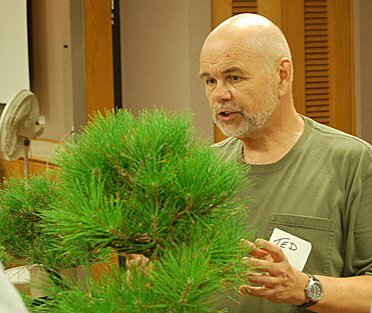 Bonsai experts Roy Nagatoshi, Carol Manning, Mel Ikeda and Kathy Benson will help you design, prune and wire your trees. They can even help you find the front of your tree and the best angle to repot it for displaying at our May show. Plus, they always make learning a fun experience. We have space for 8 participants in the Morning session (9 am – noon) and 8 in the Afternoon session (1 pm to 4 pm,) so please sign up early using the form accompanying this newsletter. Individual workshops, if space is available, are $40 per workshop, so you save $10 per workshop by signing up for all four now. Also, seeing as you have your checkbook out, annual CLUB MEMBERSHIP dues are also due in January. 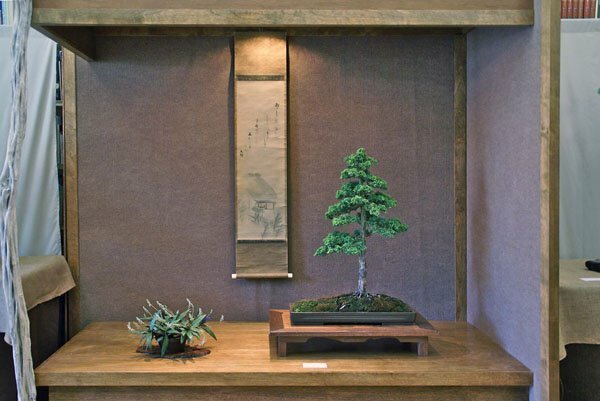 For just $35.00 per year (used specifically to meet expenses for the GVCC meeting room and two or three outside Tuesday evening presenters) you get to support the #1 bonsai club in all of Santa Barbara and Goleta! Your trees will thank you. This is not a regular book report, but is prompted by an article in the October 2018 National Geographic magazine. I’ll be donating our issue to the library.